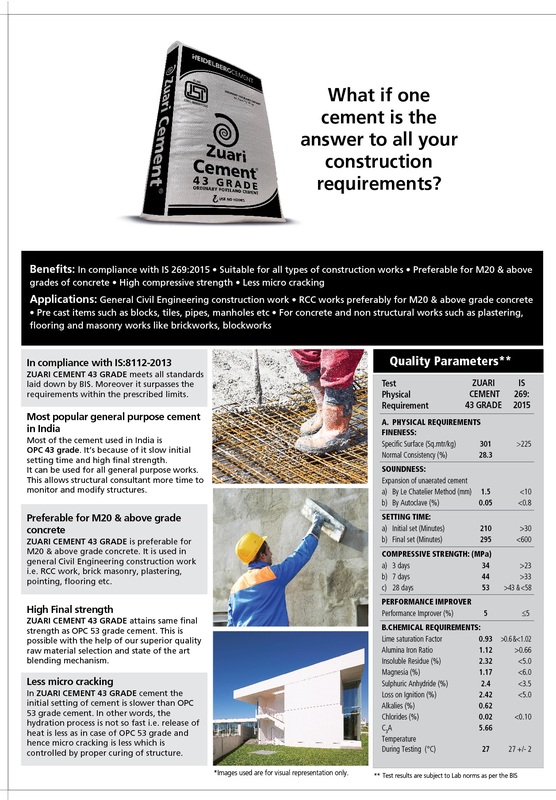 Zuari Cement is part of the worldwide HeidelbergCement Group, a global construction material major, which is Number 1 in aggregates, number 2 in cement, and number 3 in ready-mixed concrete globally. Zuari Cement has a total cement manufacturing capacity of 7.1 million tons in India, which includes two integrated manufacturing units at Sitapuram and Yerraguntla, along with two grinding centres at Chennai and Solapur respectively and a cement terminal at Kochi, Kerala. 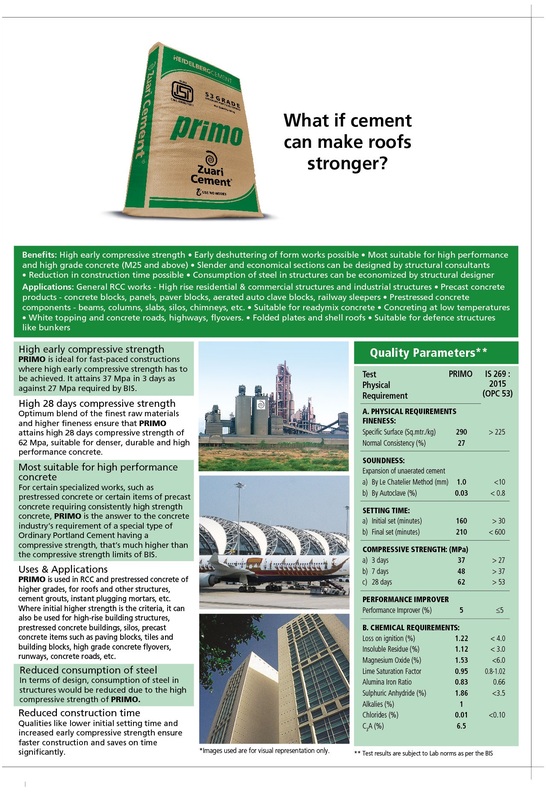 This makes Zuari Cement a formidable brand in the South Indian Cement Market. 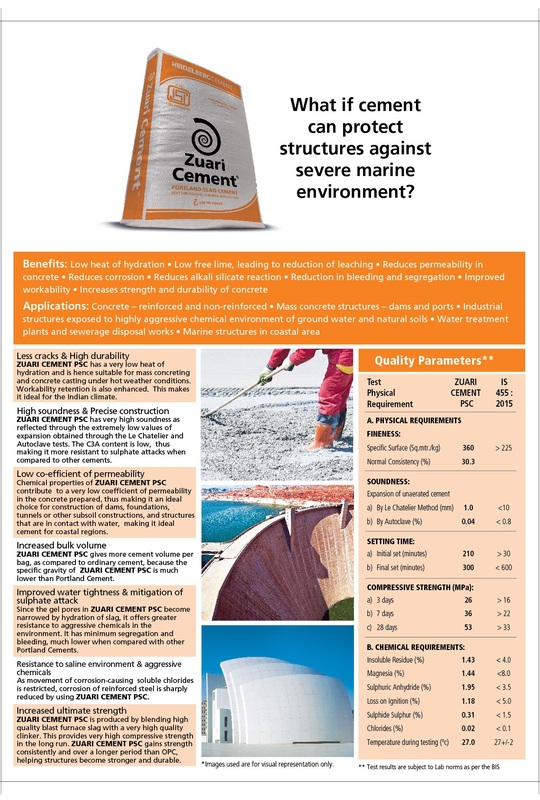 The states of Karnataka, Andhra Pradesh, Telengana, TamilNadu & Kerala form the core markets for Zuari Cement with noteable footprint in Maharashtra, Orissa & Chattisgarh. Gulbarga Cement Limited and Sitapuram Power Limited are of Zuari Cement Limited. Zuari Cement is part of the worldwide HeidelbergCement Group, the global construction material major, which is Number 1 in aggregates, number 2 in cement. 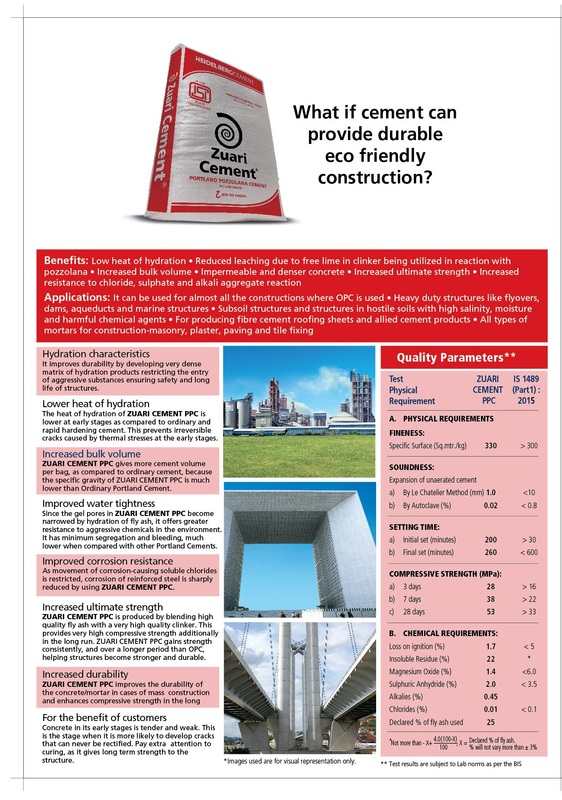 Zuari Cement products are preferred by professionals throughout all disciplines of the construction industry. Whether sparked by architect, owner or building engineer. The culture of quality which prevails in Zuari Cement's manufacturing facilities is best exemplified in the process technology employed.